Sometimes called the Cleveland Clinic Diet, the 3 Day Diet Plan is an eating regimen that must be followed exactly as instructed for three days at a time. After 3 days of dieting, a person can return to normal eating habits for several days before repeating the 3 day diet again as needed. This popular diet promises renewed energy and quick weight loss due to a unique metabolic reaction. 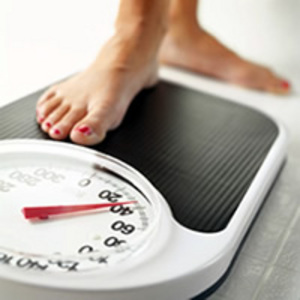 By speeding up the body’s metabolism, rapid weight loss can be achieved. The 3 Day Diet is a very specific eating plan that must be rigorously followed. Food portions must be eaten exactly as specified. 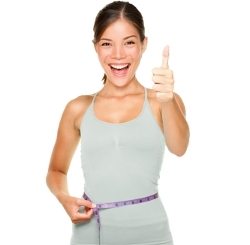 If dieters overeat, the potential 10 pound weight loss will not be achieved. The Three Day Diet can be repeated indefinitely, as long as participants eat normally for 4 to 5 days between periods of 3-day-dieting. The purpose of returning to normal eating is to keep the body’s metabolism from slowing down too much. The consumption of recommended foods in this diet plan combine to form a unique metabolic reaction and thus boost fat burning. In addition to a strict daily food regimen, only water or no-calorie drinks are allowed while on the 3 day diet. Because the 3 Day Diet Plan is low in carbohydrates, weight loss in the beginning will mostly come from loss of water weight. This is because carbohydrates make your body retain water. But 3 day diet plan reviews point out that the diet needs to be repeated a few times in order to benefit from its metabolism-boosting effects. Repetition of the three day diet provides the body a chance to develop a fat-burning metabolism. Kirstie Alley lost weight using a similar method. Vegetarians who have tried the three day diet plan report good results. By substituting a variety of delicious vegetables to create their own 3 day diet plan menus, they have been able to make losing weight a more enjoyable experience. What do Nutritionists Think of the 3-Day Diet? Although you are likely to lose weight on this diet plan, it may not last without a commitment to improved eating habits and regular exercise. A typical 3 day diet involves eating approximately one thousand calories a day. While this will lower your metabolism, the diet won’t help you learn better eating habits for the long run. Some nutritionists feel that the 3 Day Diet is not supportive of a healthier lifestyle, which means developing habits that are fundamental to healthy weight management. It may be better to choose a well-balanced diet plan that includes exercise, and lets you enjoy a wide variety of healthy foods in moderate amounts. To lose weight for the long term, it is important to address the eating habits that are responsible for your weight gain in the first place. With the large portions served at so many restaurants these days, it’s easy to share your dinner plate. Splitting a meal with your husband or wife is a great way to cut calories.